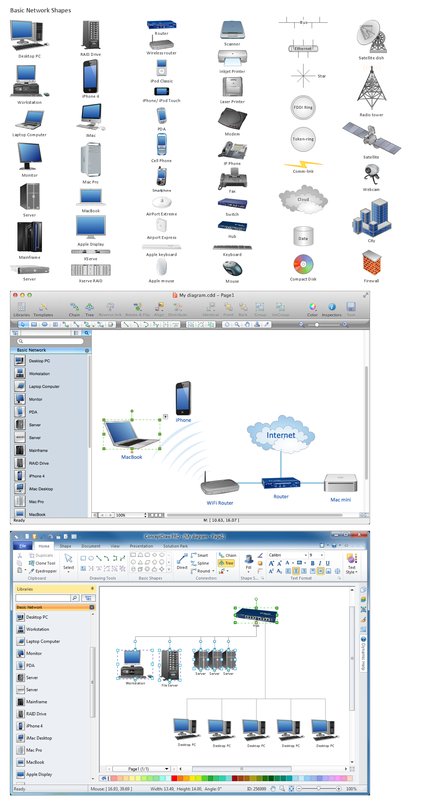 Network diagrams visualize schematically computer networks topology, equipment nodes and different types of their logical and physical connections. They are used by IT professionals to visually document the topology and design of computer and telecommunication networks. Design Elements — Basic Network (Windows, Macintosh).